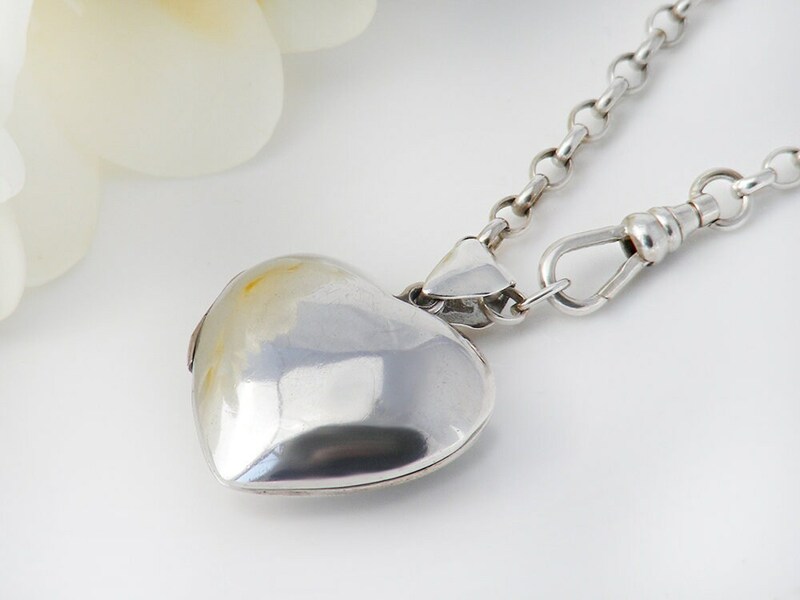 A larger size vintage sterling silver heart locket that is nicely puffed in shape, highly polished and nicely weighted. 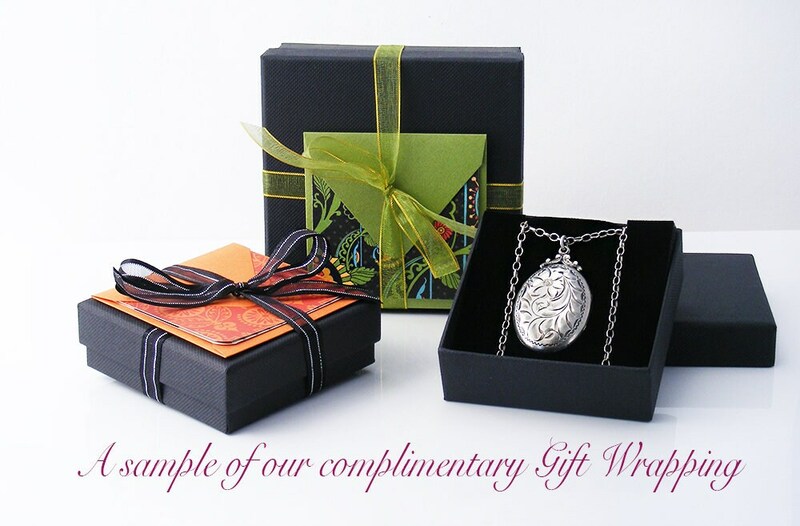 The locket has lovely natural patina, the silver smooth and lovely to handle. Silver marks: stamped to the inside rim, 925 for sterling silver. 1 x 1 inches or 25 x 25mm and rounds out back and front to approximately 12mm. 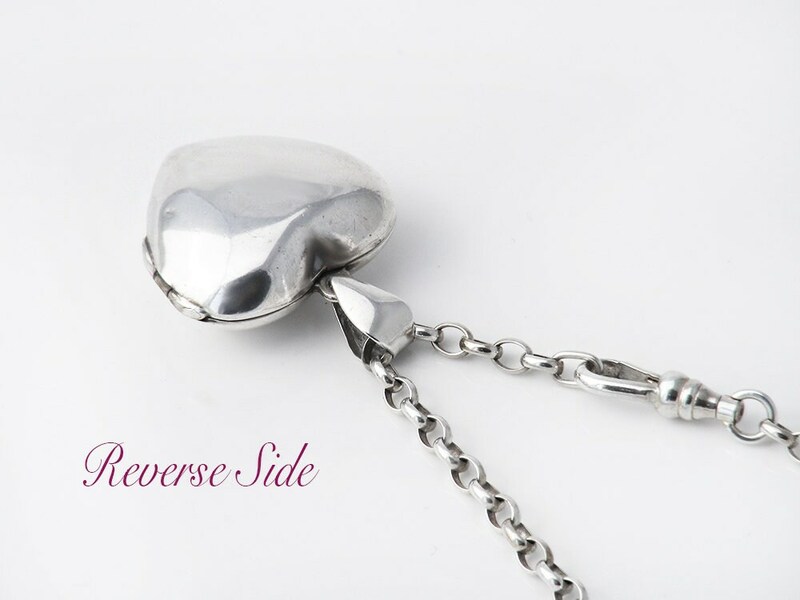 The drop from the chain including the triangular bail is 33mm. 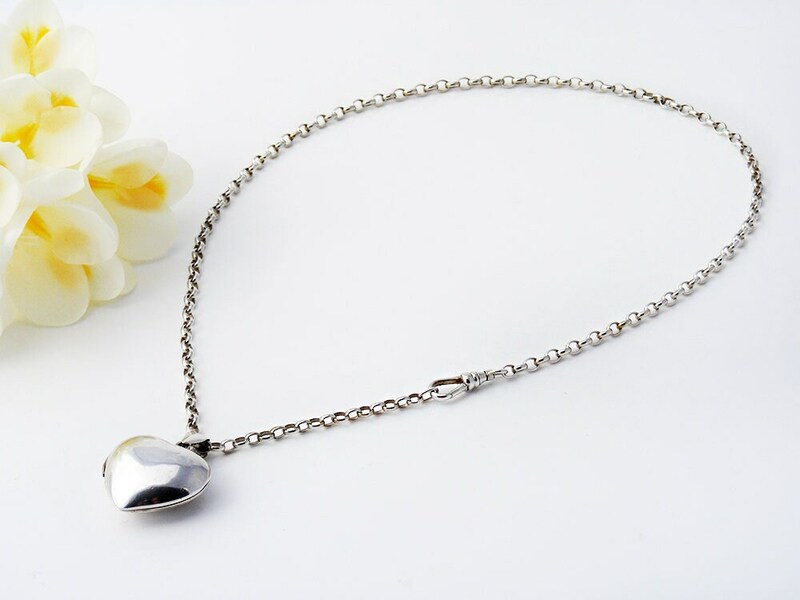 As found, the locket has a substantial rolo chain complete with swivel fob clasp - 18 inches or 45.8cm long and 3mm wide. Unmarked silver, testing as sterling and guaranteed as such. Shown on a life size torso in image #2. 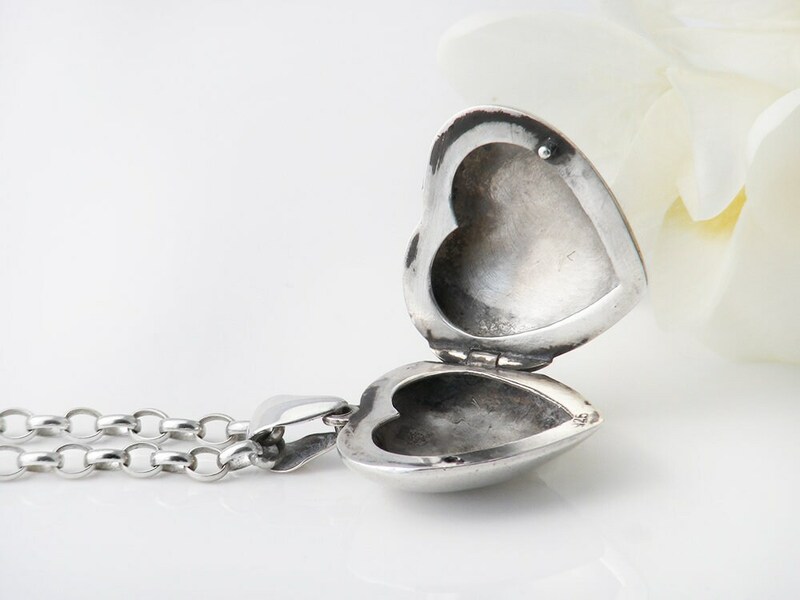 Weight: 5.8 grams without the chain, 14.6 grams with the chain. Condition: very good. Some black areas inside, none on the outside. 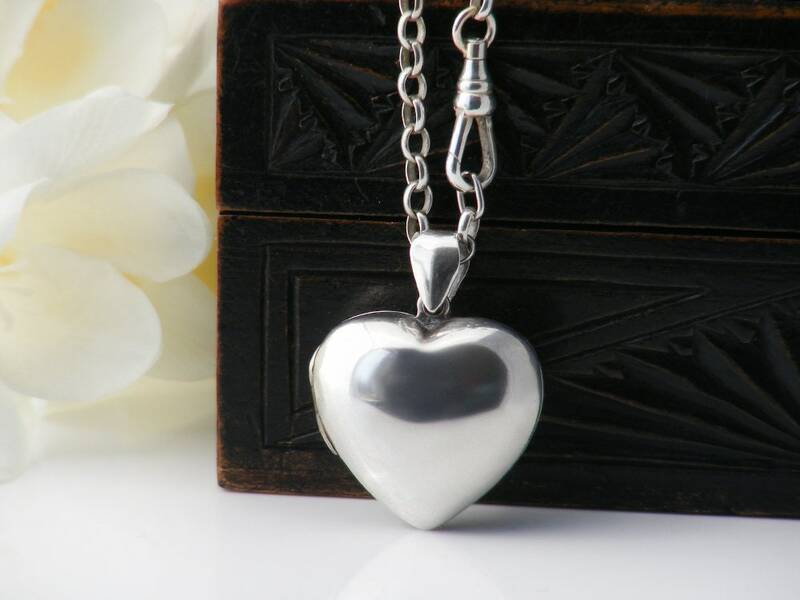 The locket is very well made, the subtle hinge is excellent, all strong and closes easily and stays closed. Lovely natural patina to the silver. 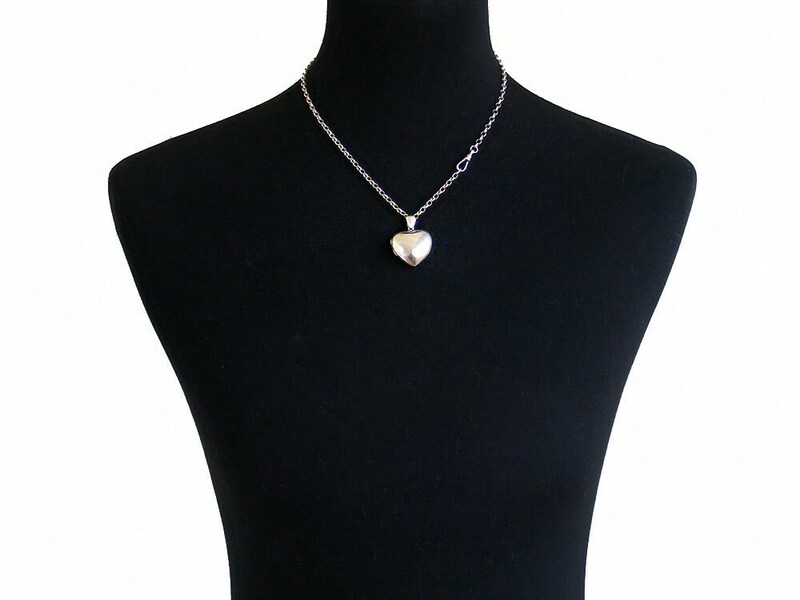 A substantial 'puffy heart' locket nicely weighted and sits beautifully.